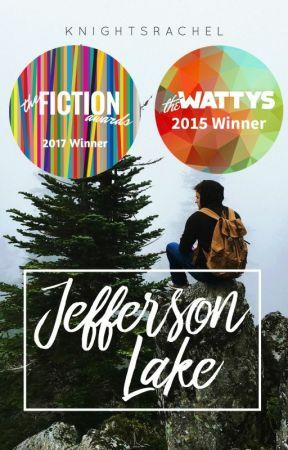 So in case you haven&apos;t heard JEFFERSON LAKE WON A PEOPLE&apos;S CHOICE WATTY! I just wanted to take a moment to thank you guys for all the support you gave me back in August in voting for the People&apos;s Choice Award Watty. In that entire weeklong process of crazy, you guys never wavered in tweeting up in a store, giving your utmost support for Jefferson Lake. So I just wanted to thank you guys for that. I&apos;m still in absolute shock. I love you guys, like this is really and truly amazing. But I wanted to show my gratitude to you guys for everything you did for me, so I decided to run another one-shot contest. This one, however, will be different than the last. It&apos;ll have different guidelines and just be different overall. So your one-shot has to take place in the summer between Lee&apos;s sophomore and junior year, the summer after Lee tried to commit. And no, it cannot be in any other point of view. So please don&apos;t message me and ask me. And it can&apos;t switch POV either, it has to remain in one point of view throughout the entire chapter. Your one-shot can only be ONE chapter. And it has be a minimum of 1,000 words. And there is no maximum, so please write to your heart&apos;s content. So here are some reminders for you while you write your one-shot. Some refreshers. -Parker was taking classes at Peace River as well, anger management being one of them. -Lee & Parker lived separately from Emily & Emmett. They had their own apartment. However, Parker didn&apos;t hesitate to "ship" Lee off with Emily/Emmett whenever they had a tough therapy session together. -Lee and Parker had therapy together 3 times a week. And they weren&apos;t enjoyable. -Lee wasn&apos;t enjoyable to be around in general. -Lee & Parker weren&apos;t on the best of terms for a majority of the summer. -Emily took Lee to an art festival after a particularly tough therapy session (that Lee & Parker had together) and bought him the tan bracelet that he loves so much. That&apos;s all that I can think of for the time being. If you guys can think of anything that I forgot, feel free to comment them to help out your fellow readers/writers. So the contest will start today, November 23rd. It will run on my time, Eastern Standard Time. So the contest will end 2 weeks from today, December 7th at 11:59 PM EST. Late entries will not be accepted. You submit your entry 2 ways. The first thing you have to do is publish it on Wattpad. Without doing that, your entry cannot be considered for the contest. 1) Private Message me the link to your one-shot. You just copy/paste the link like you would if you were sending me the link to something on Google. And then send it to me over Private Message. 2) Dedicate your one-shot to me. I only know how to do this on a computer, so please don&apos;t ask me how to do it on mobile. On a computer, you have to publish your story first. Then you go back, and up in the top, right hand corner you&apos;ll see three dots. Click on those, and you&apos;ll see the option to dedicate your story to someone. 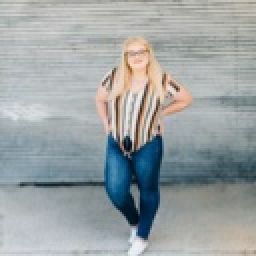 My username is knightsrachel. Dedicate your story to me. Complete both of these steps. If you don&apos;t do one or the other, it&apos;s very possible I won&apos;t see your story. If you have any questions, you can always comment them. I read practically every comment, so I&apos;ll do my best to answer your questions. Please refrain from messaging me your questions, because I&apos;ll have a lot of messages coming through in the next two weeks, and it&apos;s very possible that I might miss your message in there.